Green World Warriors is an initiative founded by environmental activists from all around the world. Together we share one goal and that is to save our environment and protect it from any more human greed. We are a network of environmental activist from all over the world. We are working with scientist, local journalists, environmental activists and people who are passionate in conserving wildlife. To ensure the safety of all the people who are contributing to this platform and the articles we don’t share the names openly. We are keeping a strong eye on The Gambia. The Golden Lead Fishmeal Factory in Gunjur, Nissim Fishmeal Factory in Sanyang and JXYG Fishmeal Factory in Kartong, are responsible for an unbelieveble amount of destruction. The people lived in a dictatorship for 24 years, and now it’s the time to stand up against their highly destructive government. 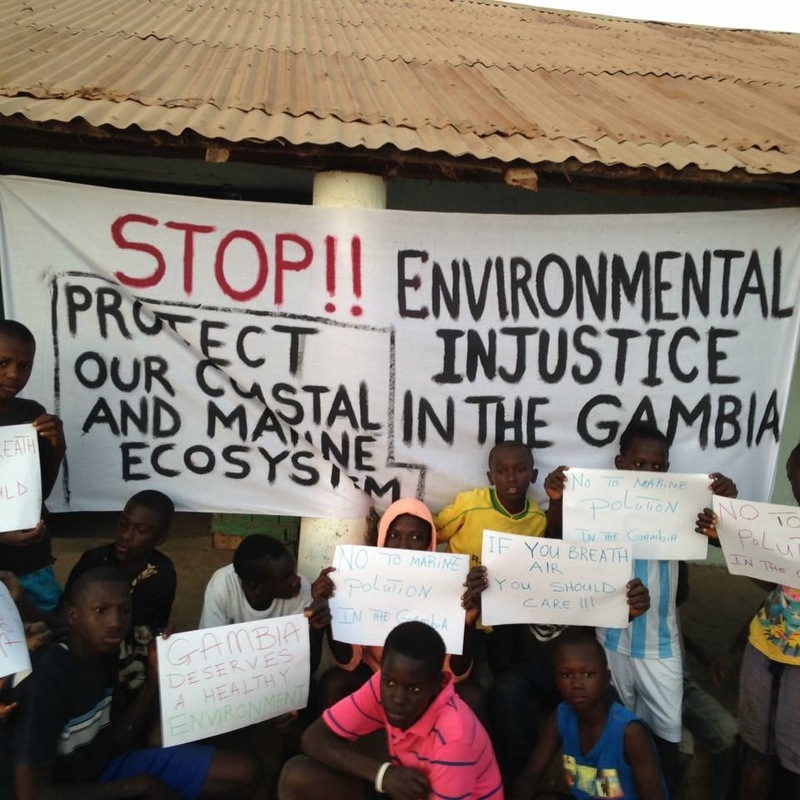 For two years now the Gambian government keeps neglecting the people who are threatened by very destructive Chinese activities. That is the reason why Green World Warriors was founded in 2016. We support local environmentalists by sharing their blogs, films and other evidence. We use this platform to create a voice for the people who are fighting for a healthy environment. Are you an environmental activist and do you have news or evidence from environmental crimes that the world needs to hear? Feel free to contact us info[at]greenworldwarriors.com or by Facebook Messenger. How to support Green World Warriors? Thanks so much for visiting Green World Warriors. You can support us by sharing our articles within your social network and follow our Facebook / Twitter and Youtube channel. These are the people from the Gambia that are fighting against a machine. They have no voice and were not heard by the world. They are neglected by their government, they get arrested when they try to protest and raise their voice in a peaceful manner. There are many more people on this planet, that are trying to fight a destructive system. We founded Green Wall Warriors to gave them a platform to share their stories. They have to be heard, they are our future. Together we are stronger and we can change the world. Our mission is to share news that is usually not picked up by the mainstream media. When we are approached by journalists from abroad we usually connect them to the right activists on the ground. Raising awareness about environmental issues and wildlife conservation is our mission. Sharing solutions for different issues also is part of what we do. We are actively researching methods to reverse desertification for instance. We are also preparing projects in West-Africa to be launched this year. The main goal of these projects is to create employment and reforest degraded areas.